Albert Collins Blues Folk Art Painting by Grego. 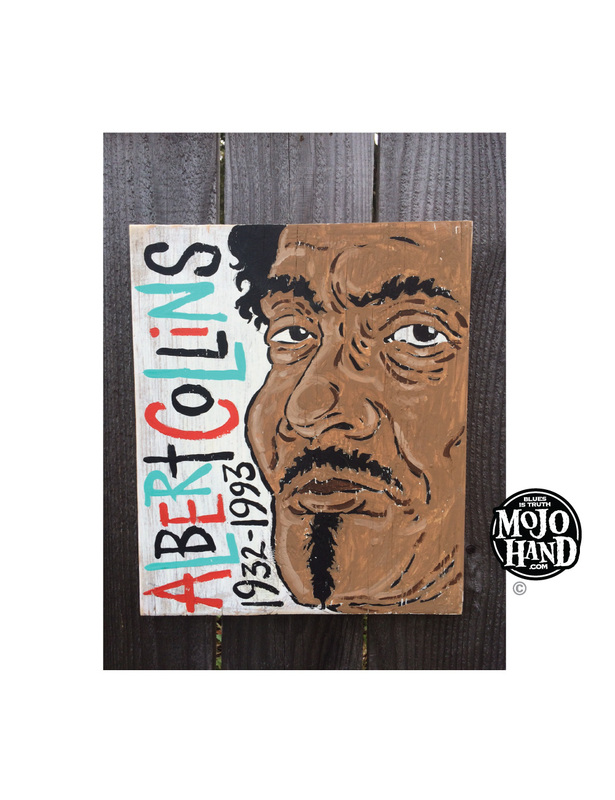 A great addition to your personal House of Blues, this Albert Collins Blues folk art painting is 11 inches by 13 inches. Acrylic on wood, ready to hang. Hand painted by Grego Anderson, sole proprietor of Mojohand. One of a kind – Ships Worldwide. Mojohand.com is the world’s largest Blues folk art store and gallery, shipping Blues artwork worldwide since 2001. Stay frosty with this painting of the ice man himself, the late great Albert Collins.